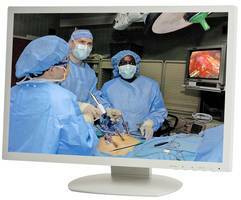 TRU-Vu’s Monitors are offered in sunlight readable and daylight viewable models. Units provide the operators critical views below the hoist, around the corners and at other blind spots. Product comes with screen sizes of 7 in. up to 55 in. Offering 1,000 nits of brightness, monitors are equipped with ambient light sensor or dim-to-black hotkeys. TRU-Vu’s feature 12-24 VDC or 90-240 VAC operation and is integrated with panel mount and waterproof enclosures. TRU-Vu Monitors, Inc., a leading supplier of industrial-grade monitors and touch screens, has developed a full-line of ultra bright Sunlight Readable Monitors which are ideal for use in crane cabs. Modern cranes are utilized to move large, heavy loads into otherwise hard-to-reach areas in a wide range of industries, from shipping ports to construction sites, railways, factories, and more. Crane operators must retrieve and place loads with great precision at efficient speeds while maintaining maximum safety. On a crane, cameras provide the operators critical views below the hoist, around corners, and at other blind spots. Unfor-tunately, the video monitors provided with these camera systems do not offer sufficient brightness to be seen in bright sunny conditions. The images displayed suffer and appear dull, washed-out, or sometimes completely invisible. This forces the operator to work blindly which not only slows down the process but also causes safety concerns. TRU-Vu’s industrial-grade Sunlight Readable monitors offer at least 1,000 nits of brightness, which is 4 to 5 times brighter than conventional video monitors. This assures clear, sharp, video images for the operator even in direct, bright sunlight. 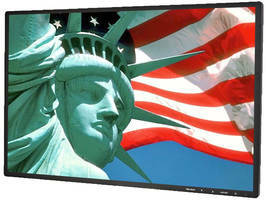 TRU-Vu also offers Daylight Viewable monitors which are optically-bonded. These are ideal for environments where the monitor will be used in indirect sunlight. An extensive list of custom options. 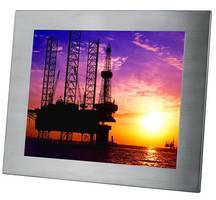 TRU-Vu industrial-grade LCD monitors are currently deployed in demanding applications throughout the world in cranes, military vehicles, buses, trains, robotic systems, and more. TRU-Vu’s Sunlight Readable monitors would boost efficiency, accuracy, workflow and safety for any crane operation. TRU-Vu Monitors, Inc., a leading supplier of LCD displays, provides a wide range of customizable, industrial-grade LCD monitors and touch screens. 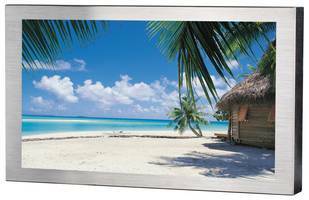 This includes Sunlight Readable, optically-bonded, medical-grade, open frame, panel mount, waterproof, and standard monitors in sizes from 5.5” to 55”. They are backed by a full 3-Year Warranty. 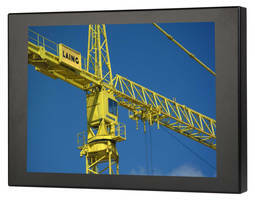 All monitors can be customized/modified to meet specific application requirements. TRU-Vu monitors can also be private-labeled with your company's name, logo and unique model number.